VCD is defined as the difference in the absorbance (A) of left minus right circularly polarized infrared radiation, A=AL -AR. 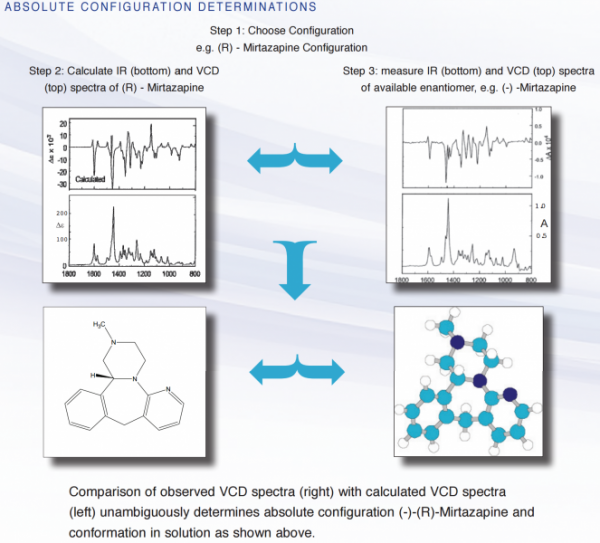 VCD extends the functionality of electronic Circular Dichroism (CD) into the infrared spectral region where vibrational tranisitions in molecules are observed. 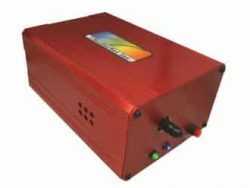 VCD combines the structural specificity of FT-IR spectroscopy with the stereo-sensitivity of circular dichroism. 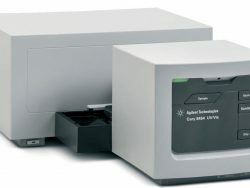 This gives access to multiple, well-defined bands that provide molecular quantitative information. Measurements can be done in solids and solutions. In 1997, BioTools commercialized the technology by introducing the ChiralIR™. 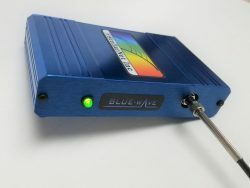 BioTools is proud to be the first company to present a stand-alone dedicated VCD spectrometer and its powerful applications in the fields of chemistry and biology. 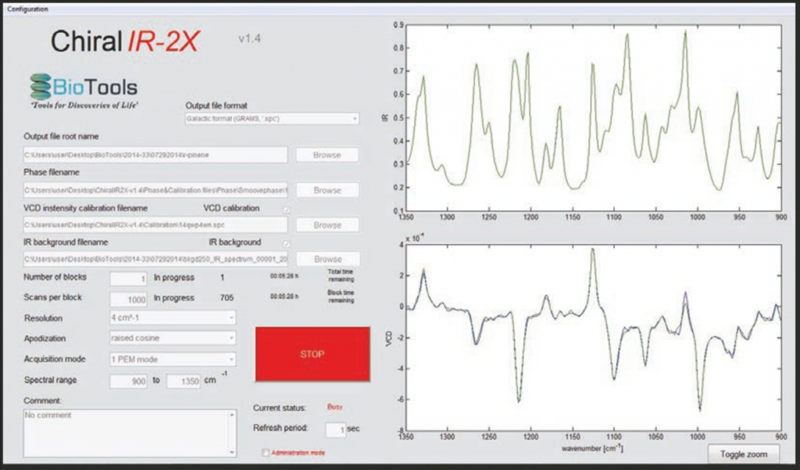 ChiralIR-2X ™ Software is included with the CHIRALIR-2XTM. Easy to use, no learning curve. 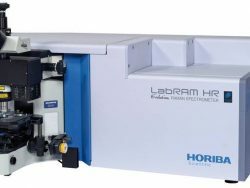 Since commercial introduction of VCD by BioTools thousands of compounds have been determined using this technology. It has become the-must-have-tool in the pharmaceutical and other industries. 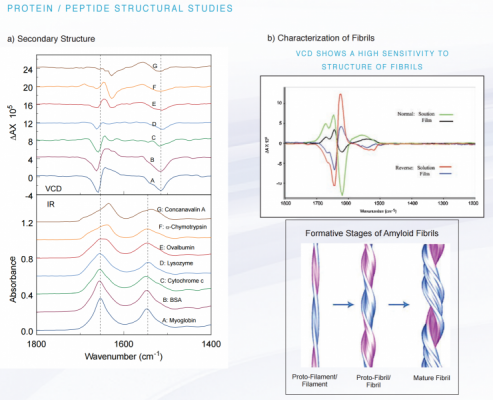 VCD provides an enhanced sensitivity to secondary structure of proteins and peptides. The changes in VCD spectra are observed in both the Amide I and II regions. The VCD sign of Amide I band changes for proteins with the two most common motifs – α-helical protein myoglobin (lower spectra) and a primarily β-sheet containing proteins concanavalin A and chymotrypsin (upper spectra). 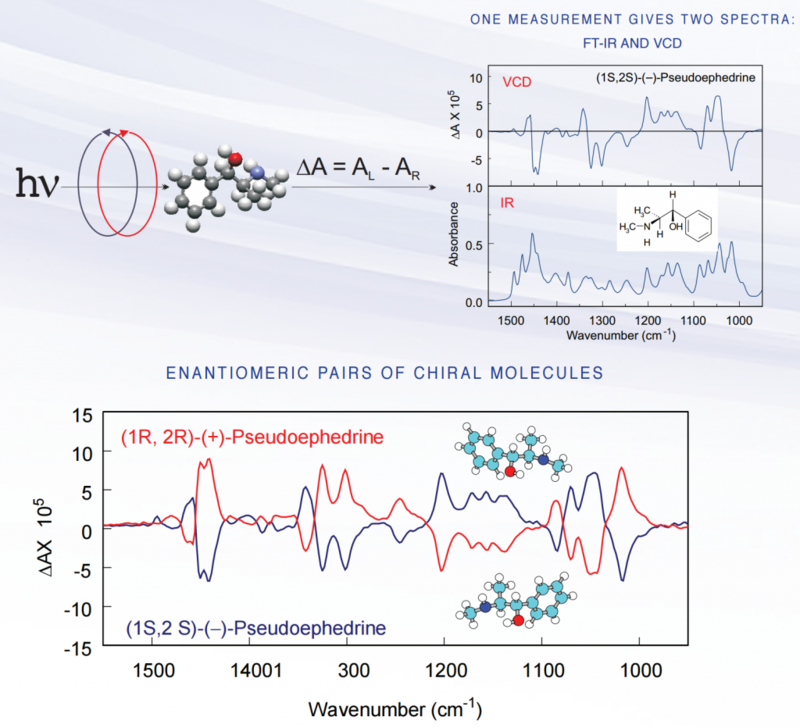 During the course of a chemical stereospecific reaction, the combination of IR, for detection of changes in mole fraction composition, and VCD, for combined mole fraction composition and enantiomeric excess (%EE), enables one to follow %EE of each chiral species as a function of time. 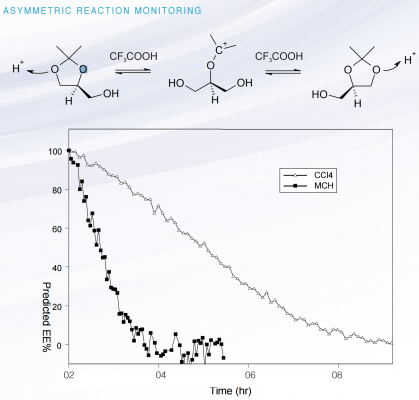 The figure above shows epimerization versus time of DDM with trifluoroacetic acid in two different solvents.